Meet the staff of Parisi Sparta. Steve grew up in Hawthorne NJ, where he was a 3-sport varsity athlete (Football, Baseball, and Wrestling). His athletic career was successful being named Captain of his Wrestling team and received all-league honors for both Baseball and Wrestling. 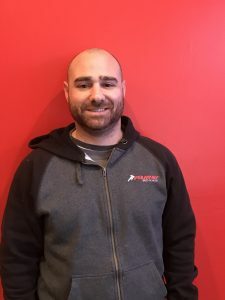 Steve realized sports was his real passion and decided to major in Exercise Science at Northeastern University and concluded his studies with a degree in Sports Management from Centenary College. 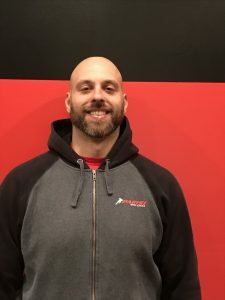 Steve is the former Director of Training for Parisi Speed School Morris Plains and Fair Lawn NJ. He has been training athletes for 20+ years on all levels including: High school, College, NFL, MLB, US Olympic, WNBA, MLL. Steve was hired in 2011 to train the New York Jets during the NFL lockout. Vicky is a 2011 graduate from Bloomsburg University with a B.A. in Exercise Science and a concentration in coaching as well as Strength & Conditioning. She was a three year member of the Division II Women’s Soccer team as a goal keeper and served one year as a Student Coach. During her four years at Bloomsburg. She volunteered at Bloomsburg high school to enhance their gym classes and after school fitness programs for athletes and faculty. During high school, Vicky obtained the first team all county and all state awards. 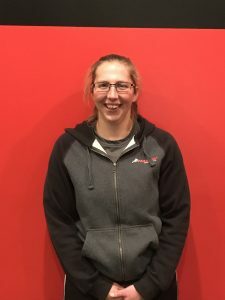 After graduating Vicky was the Operations Manager and Strength Coach at Williams Sport Training for three and a half years. In 2001 Vicky was the Assistant Coach for the Women’s Soccer team at Fairleigh Dickinson University. She has also worked with college athletes, players from the U.S. Women’s National team, and professionals. 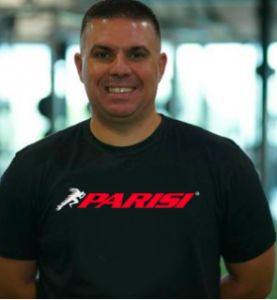 Vicky is currently the PD at Parisi Speed School and the head of the Parisi Soccer Academy. John is a 2013 graduate of William and Paterson University where he earned a B.S. in Exercise Science with a concentration in Exercise Physiology. He also hold a B.A. in History from Montclair State along with his 10 years experience in retail before changing career paths. Prior to college, he attended Chatham High School where he was a varsity athlete in both Track and Field and Football. He hopes to pass along his passion for strength and speed training to young athletes whom he trains. John currently resides in Rockaway, N.J. with his wife Michelle. Joe grew up Vernon Twp. Where he was a 3 sport athlete. Football, baseball, and swimming. After graduating high school he went on to William Paterson University earning a b.s. in exercise physiology. During and shortly after college, Joe was a personal trainer. However, Sports and performance training was his ultimate passion. So he started a career at Parisi speed school of Morris plains in 2007. Since he has trained all types of athletes ranging from 7 years old up to the professional level. He takes pride in bringing out the best of any athlete through confidence, attitude, and performance on the field as well as off.